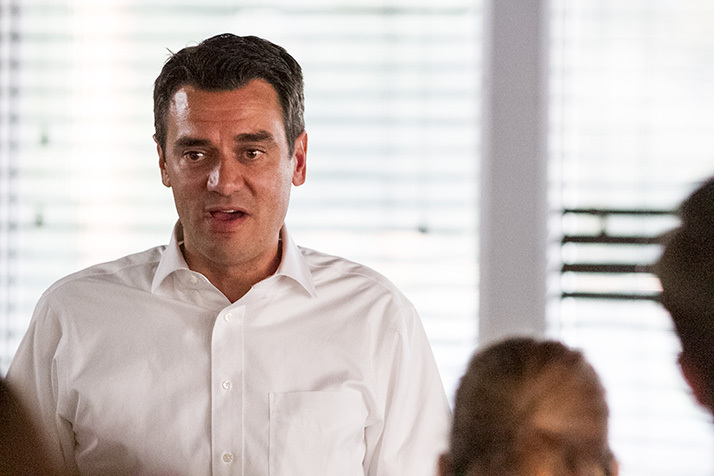 A post on Rep. Kevin Yoder’s Facebook page earlier this week elicited some pushback from leaders of Indivisible KC, the group that has in recent months been pushing for Yoder to hold an in-person townhall among other issues. On Tuesday, Yoder’s Facebook page featured an image of the Congressman sitting in his Overland Park office with a handful of people, and a message saying that he’d recently met with “local leaders from MoveOn.org and Indivisible KC.” That was news to Indivisible KC’s organizers, who said they hadn’t been at the meeting. We applaud any members of Indivisible KC who exercised their power to attend this meeting as a constituent or member of another progressive group; however, official representatives of Indivisible KC leadership were not present.